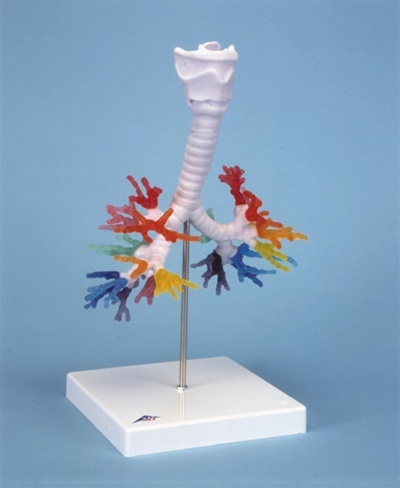 This unique CT bronchial tree model with larynx was created on the basis of computer tomography data of a human (male, approx. 40 years). What is special about this procedure is that the natural spatial 3D-relations and the reciprocal location of the segmental bronchi can be preserved and demonstrated in a realistic way. The result is a life-like CT bronchial tree and larynx. 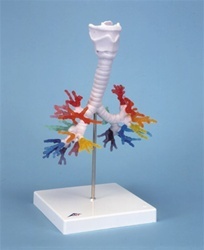 The various segmental bronchi are made of elastic material and depicted in various transparent colors so that they are easier to distinguish visually.